A cone is a three-dimensional geometric shape that tapers smoothly from a flat, round base to a point called the apex or vertex. 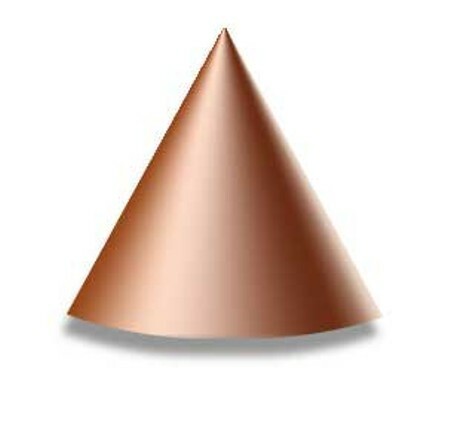 A cone with its apex cut off by a plane parallel to its base is called a truncated cone or frustum. An elliptical cone is a cone with an elliptical base.